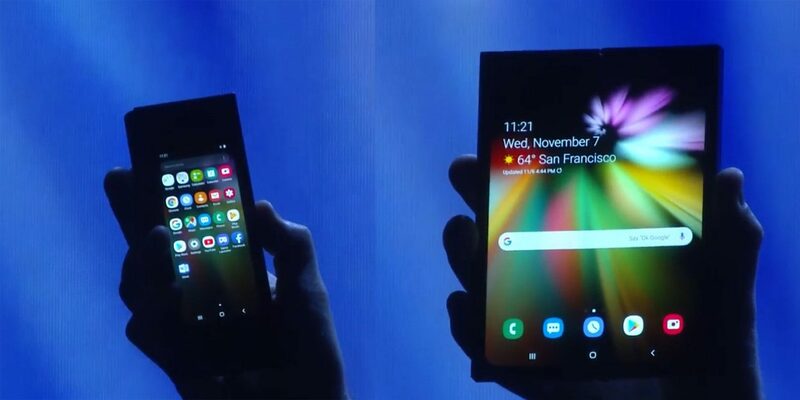 With a maker in China already having released a folding smartphone, Samsung releasing more about their Galaxy F, and LG on the verge of unveiling one, Google today announced Android support for a ‘foldables’ category. 9to5google.com reports that the new category of phone that unfolds into a tablet will have native Android support, allowing for makers to give you a phone with a screen like we all have, but unfolding to reveal a larger, phablet screen on the inside that is double the size of the ‘outside’ screen. Google’s ‘screen continuity’ will allow you to start with an app on the outside screen, then unfold and seamlessly continue on the bigger inner screen without a hitch. Samsung has been working closely with Google on this Android category, and is expected to release the Actual Galaxy F model early next year. The internal screen is said to be 7.3 inches. If you have sent a Facebook private message, and instantly regretted it, you will like this. For some time, Facebook has had an ‘unsend’ feature for their top brass. Now, according to engaeget.com, the social media giant may be getting set to release the feature to everyone. It’s not an hour to change your mind like What’sApp, but a 10 minute grace period ought to be enough for people who hit send, and have nearly instant remorse. Of course, even with this feature, if the recipient has already seen the message within the 10 minute period, the deletion won’t undo whatever damage has been done to your relationship with them! The engineers and programmers at Mercedes have been experimenting with a number of different ways to help automate delivery vehicles, so the driver/delivery person can get packages to you more quickly and efficiently. Some have ended hilariously…like one with a Ferris wheel and baskets…that one ended when a gallon of milk basically exploded all over a van. Now, the German conglomerate is trialing its latest idea. Cams and sensors light up shelves, and show the driver which shelf and spot is best for a package…lighting up green. On arrival at a drop off, it lights up green again…and everything flashes red if the person grabs the wrong item. The built in sensors also allow for less hand scanning, which should shave additional time off deliveries. AI not only helps figure out the best spot in the truck for the packages, but plots out the delivery route based on what packages are loaded and their destination addresses. Mercedes thinks this system will help the likes of FedEx and UPS, but will be even more beneficial to smaller delivery company, like those indie operators contracted by Amazon. The EU has fined Google a record $5 billion for breaking antitrust laws. The European Commission says Google abused its market dominance with Android in 3 key areas. Theverge.com says Google has bundled it’s search engine and Chrome apps into the OS, allegedly blocked phone makers from running forked versions of Android, and “made payments to certain large manufacturers and mobile network operators” to exclusively bundle the Google search app on handsets. The Commission demands that Google cease this conduct within 90 days. Google says it will appeal the decision and fine. After the crashing problems of the first hour, never mind some striking workers in Germany, Amazon’s Prime Day once again was it’s biggest sales day in history by a wide margin. Yesterday’s Prime day exceeded Cyber Monday, Black Friday, and last year’s Prime Day, techcrunch.com reports. It is worth noting that this year, Prime Day ran 36 hours, and it was only 30 hours last year. Amazon hasn’t released precise numbers, but did say they sold over 100 million products and well exceeded $1 billion in sales. Instagram is trialing a new feature with some public Android users that lets them manually remove followers without the followers getting notice. According to thenextweb.com, the only way you have been able to remove followers so far has been to block then unblock them, block them completely, or set the account to private. You can check to see if you are one of the users that is getting to test drive the feature by checking your followers list, and look for an icon with 3 vertical dots to the right of a user’s name. If it’s there, tap it, and a prompt pops up to remove them without letting them know. Some people are leaving Facebook after the Cambridge Analytica mess…I count 31 that have bailed or deactivated on my friends list. For me, the horse got out of the barn a long time ago, so it seems a bit late to leave when you’re privacy has been violated continuously for 8 or 10 years. TechCrunch.com notes that you can download your facebook info, including your friends list…but it’s just a text list…you can’t easily take it to a competing platform. It’s just not going to work having to type them all in, or letting another platform use your email list and keep sending out pestering email to your friends. If people want the government to regulate Facebook as a utility, being able to export your friends list in a useable form to port them to another platform would be a great start. Meanwhile, we’ve speculated that somewhere, some brilliant geeks are working on programming to do it whether Facebook likes it or not. Whatever platform gets that kind of feature first will have a hell of a leg up in giving Facebook some real competition. What kind of magic formula does Amazon use to give a product the Amazon’s Choice designation? No one has had a clue…until now. Geekwire.com reports that the online giant has started placing a ‘why we like this product’ link next to the Amazon’s Choice logo. If you click it, it will give you 3 specific reasons Amazon has awarded the Choice designator to that particular product. Some of the criteria seem heavily skewed towards highly rated, but also seen have been low return rate and popularity in Amazon search results. At least it’s a peek behind the curtain. So far, all the factors seem to be ones that lend themselves to a high degree of automation..hey, it IS Amazon! Having purchased probably every system Sega ever made for a certain family member (which paid off in a way…he now works for a game company), I was interested to see that Sega is probably going to bring out a Sega MegaDrive Mini later this year. Cnet.com says the little box has just rolled out in Japan to celebrate the 30th anniversary of the system (MegaDrive was the original name for the system.) Now, a number of reports are surfacing saying the diminutive Genesis will e hitting the US later this year. It appears that Sega is presently asking users to let them know what classic games they want pre-loaded onto the system. Apparently the system will feature both Japanese and English voiceovers, and choice of classic or modern controls. Apple is reportedly working on some wild ideas for future iPhones. Bloomberg.com reports that two ideas Cupertino is pursuing include touches gesture control, and curved screens….but different from those of Samsung. The control feature would let users interact in some ways by moving a finger near the screen, without actually touching it. This possible feature is a couple years away, if they go through with it. The curved screen curves inward gradually from top to bottom. There was no info on how this type of curve might help the user. Apple also lured away Google’s Chief of Search and Artificial Intelligence. John Giannandrea will oversee Apple’s machine learning and AI strategy, and will report directly to CEO Tim Cook. One major item on his to-do list: Make Siri work better! The word is out that Mark Zuckerberg will testify before Congress next week, in the wake of the Cambridge Analytica data mess, and the Android phones tracking calls and texts. Now, we’ve all heard that Facebook was putting in new privacy standards, which it should. The bad news? According to 9to5google.com, the gold standard privacy protection European Union users will get WON’T be extended to the US! The social media giant only says they will do something ‘in the same general direction.’ Facebook has made it easier to remove apps, though. You could always do this, but had to jump through hoops. Now, you merely click each app you want to remove, and hit the Remove button to delete them. A Redmond, WA company has given a peek into the future of what they’re creating, and it’s pretty amazing. Misapplied Sciences was started by former Microsoft and Disney geniuses. Geekwire.com says the tech will…for example…allow you to be walking along in an airport, look up at the screen to find your gate, and only see YOUR gate info! Others walking along will only see their info. There’s no smoke, but mirrors are involved in what they call ‘parallel reality’ display technology. They have developed a ‘multi’view’ pixel, which can send different colors of light in up to millions of directions. No goofy looking (sorry, Disney) goggles or glasses are required!